An awareness run for women, men and children will be held on March 5 which includes a 5K run, 2K run and Pram walk. HYDERABAD: An awareness run for women, men and children will be held on March 5 which includes a K run, 2K run and Pram walk. Police are estimating that around 7,000 participants would attend the event. Hyderabad Police commissioner M Mahender Reddy on Friday launched posters and three short films on child sexual abuse on the occasion of the SHE Run. A women expo with 50 stalls will be inaugurated at Necklace Road on March 4. To promote women safety with the International Women’s Day campaign theme - Be Bold for Change, the Hyderabad police are leaving no stones unturned to work towards creating awareness regarding women safety. 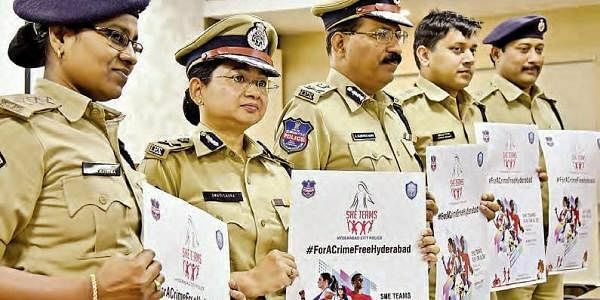 “The campaign has been conceived to raise awareness among girls, women on the responsible usage of technologies and participation in online community activities,” said Hyderabad police commissioner M Mahender Reddy. Participants can submit their entries directly at Bharosa Centre, Ground Floor, HACA Bhavan, Saifabad, Hyderabad. Prizes for winning entries would be awarded on March 5. The Last date for submission of entries is February 28.